One month later and my new fitness routine is a hit! But more importantly my cheat meals are so WORTHY! Let’s prepare for this month. 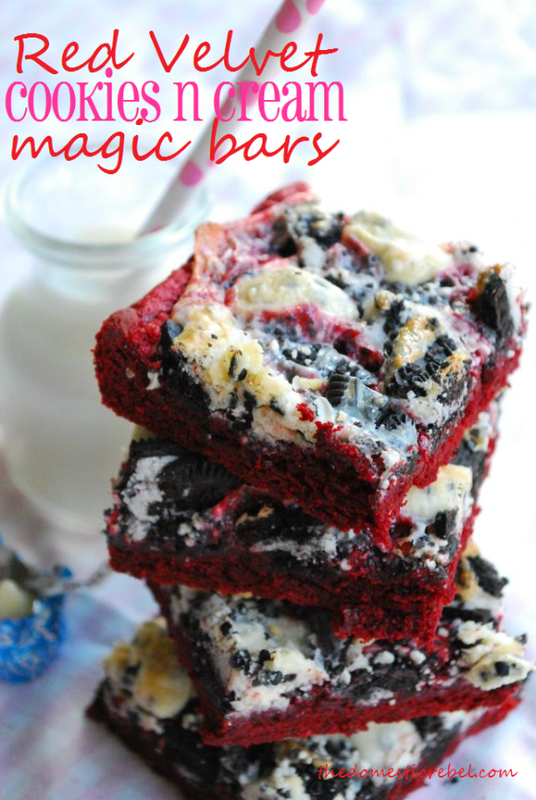 February has a handful of food obsessed holidays. Superbowl, Valentine’s Day, Mardi Gras, and even Purim (hello hamentashen!) There is no use saying ‘no’ to every indulgence, but there is such a thing as ‘will power.’ I plan my cheat meals surrounding events or outings so I can indulge (politely) and with friends. This Valentine’s Day also known as “All the Single Ladies” Night, I have chosen which dessert I want to bake and share. My favorite stress release is baking. I can safely have my one (or two) and then pass on the leftovers happily to the next victim. 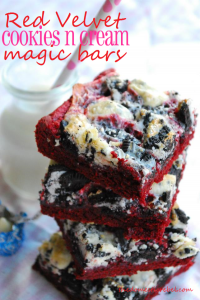 My weapon of choice next week will be: Red Velvet Cookies & Cream Magic Bars. Cheers to next Thursday…Now accepting applications for taste testers!